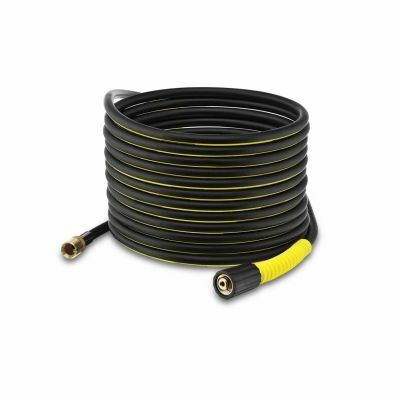 The Karcher 10 m high-pressure extension hose for greater flexibility for use with pressure washers. Simply connect between pressure washer and hose for easier working. Robust DN 8 quality textile braiding reinforced, non-kinking hose with brass connector for durability Extension hose for up to 160 bar pressure and temperatures up to 60 Ãƒâ€šÃ‚Â°C. Extension hose is also suitable for chemical use. Suitable for all KÃƒÆ’Ã‚Â¤rcher K2 ÃƒÂ¢Ã¢â€šÂ¬Ã¢â‚¬Å“ K7 series domestic pressure washers.